← Himalayan Crystal Salt is Natures Ancient Gift to Us! 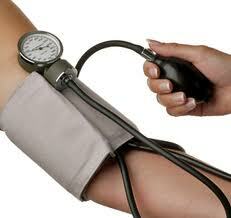 DID YOU KNOW THAT a low fat diet and drugs perpetuate high blood pressure? Heart Disease Patients diagnosed with coronary artery disease (CAD) are routinely prescribed a low fat, high carbohydrate diet and a cocktail of drugs including ACE inhibitors, beta blockers and diuretics to lower elevated blood pressure. The low fat diet eliminates potentially heart friendly Omega-3 and monounsaturated fats. Pharmaceuticals may act to lower blood pressure but actually increase the risk of death. The result of a study published in the Journal of the American Medical Association concludes that tight control of blood pressure by drugs is associated with an increase in risk of all-cause mortality. Clearly there must be a better solution to lower blood pressure and reduce risk of cardiovascular disease. Cut all sources of sugar, refined carbs, wheat, breads, pasta and starch in your diet. Research has shown that this approach can drop blood pressure by 20 to 40 mmHg quickly, can lower triglycerides and oxidized LDL cholesterol and can improve helpful HDL cholesterol. Cut all vegetable shortening (like canola, soy and corn oil), margarine and baked foods that are loaded with synthetically derived fats. Be careful not to overcook or fry foods with oil as this causes deadly trans fats to form. I recommend cooking with coconut oil exclusively and then adding at serving time organic butter or organic cold pressed extra virgin olive oil. Instead of vegetable oils be sure to substitute heart healthy Omega-3 fats from fish, shellfish but also take omega 3 supplements that our 100% sustainable such as MOXXOR. In addition to taking an Omega-3 marine lipid, supplement such as MOXXOR, Vitamin D3 has been shown to reduce blood pressure in the same manner seen with ACE inhibitors. Coenzyme Q10 is known to reduce heart muscle thickening and can lower blood pressure by 8 to 16 mmHg. Review: J Manipulative Physiol Ther . 2001 Feb;24(2):101-9 entitled, “Significant changes in systolic blood pressure post vectored upper cervical adjustment vs resting control groups: a possible effect of the cervicosympathetic and/or pressor reflex.” This study was done to determine whether a vectored adjustment of the atlas in patients identified as demonstrating signs of upper cervical joint dysfunction would cause lowering of blood pressure in comparison with resting controls. Test 1: controlled clinical trial with a treatment (adjustment) group and a control (resting) group. Test 2: controlled clinical trial with subjects serving as their own controls which was done in a private chiropractic practice. Test 1: Forty established patients demonstrating signs of upper cervical subluxation/joint dysfunction and 40 established patients without such signs. Test 2: Thirty established patients demonstrating signs of upper cervical subluxation/joint dysfunction. Specific, vectored upper cervical (atlas) adjustment or similarly positioned resting. Prerest, postrest, and postadjustment systolic, diastolic, and pulse rates as recorded through use of a digital oscillometric sphygmomanometer. In test 1, subjects receiving adjustment had a significant (P <.001) decrease in systolic blood pressure whereas resting subjects did not. Intergroup comparison of the treatment (adjustment) and control (resting) groups demonstrated a significant difference (P <.001). A greater pre/post drop in systolic pressure was associated with greater age and higher initial systolic pressure. In test 2, the pre/postrest change in systolic blood pressure was not significant. The systolic blood pressure changed significantly (P <.001) from postrest readings to postadjustment readings. The results indicate that palpation and vectored atlas adjustment causes a significant decrease in systolic blood pressure in patients with putative upper cervical subluxation/joint dysfunction in comparison with resting controls. Similar results were also demonstrated when subjects acted as their own controls. The lack of randomization, blinding, and a manipulated control group are factors that weaken these findings. The sudden drop in systolic pressure is proposed to be due to stimulation of the cervicosympathetic reflex or moderation of muscle tone and elimination of the effects of the pressor reflex. What can we do about stress induced, high blood pressure, besides eat right and see our chiropractor? There is a new device here from Europe that can help your body deal with stress and it is called BEMER! The new BEMER-therapy can successfully reduce the effects of stress. Stress hormones affect the body’s own regulatory mechanisms. What is reasonable within in moderation, can seriously damage the health when present as a long term stress. For instance through a regulatory malfunction of the circulation. While working closely together with the research team of the “Institute for Microcirculation – Berlin,” BEMER Int.AG lead by University Docent CA. Dr. med. Rainer Klopp, has succeeded in effectively stimulating the circulation in the smallest blood vessels through targeted physical stimuli. Stress does not equal stress to all individuals, because everyone reacts and feels differently in stressful situations. Stress shifts the body into a state of alarm with the aid of stress hormones. The blood pressure rises and the heart frequency increases. This makes sense for short periods of time, but leads to massive malfunctions of the circulatory system and thereby to an imbalance between demand and supply. Because on one hand the requirement of the cells is higher due to the increased readiness for action of the body and on the other hand the cells are more poorly supplied due to the malfunction of the blood circulation. A further effect of the malfunction of the circulation is a slowing down of the blood flow, in turn leading to possible increase in deposits in the blood vessels and with this to stenosis. The health risks are massive: Stenosis of the coronary arteries, myocardial infarction, stroke and others. The BEMER-therapy stimulates the movements of the smallest blood vessels, can normalise the blood distribution in the area of the so-called microcirculation and herewith considerably reduce some of the important effects of stress. The cells, organs and the tissues are better supplied; the metabolic waste products are removed. The blood flow is improved and the risks caused by the stenosed blood vessels can be reduced again. But naturally the BEMER-therapy is very useful in other areas as well. It is a useful health prophylaxis; it supports the healing and recovery processes and the complementary treatment of chronic diseases and degenerative conditions. Even in cases where all the treatment options are exhausted, successes can be recorded. Beyond that BEMER is used in top-class sports as well as in the business environment to improve the mental and physical abilities. BEMER has introduced a new family of BEMER devices for the whole family including the animals! You may have seen BEMER referred to on line as the BEMER 3000 or perhaps BEMERVET, however in 2010 BEMER introduced a new product generation onto the market with the two equipment systems called the BEMER Classic and BEMER Pro, which are not only distinguished by their elegant design, but also by their well thought-through ergonomics and intelligent functions, and above all by their intrinsic technological values at the forefront of research. The machines are certified medical devices (which can be used on animals). In the USA BEMER is FDA registered as a class one medical device. Both the Classic and the Pro are simple to operate and designed for use in clinics and practices as well as for private use in the home. The BEMER Int. AG was formed in 1998 by the current CEO Peter Gleim as Innomed International AG, and in the year 2010 was renamed accordingly. The company’s registered seat is in Triesen, Liechtenstein, and there employs more than 40 employees. BEMER AG operates in the medical engineering sector and conducts and supports research in the area of microcirculation, and develops physical therapy methods to positively influence the microcirculation. The multi-patented and market-leading technology is available in different product lines, which the company distributes through its own; widely spread direct specialist distribution and the corresponding local representation in 20 countries. I personally am a daily user of BEMER but also an Independent BEMER Distributor because I believe so strongly in this product and what to share it globally! For that reason and more my husband Nazim and I have added the BEMER to our Art of Wellness Collection. I see my chiropractor regularly and try my best to avoid all synthetically processed foods (and substitute foods that are known to lower blood pressure) and pharmaceuticals and instead take my neutraceuticals, such as MOXXOR, and Protandim along with twice daily use of my BEMER Pro, along with using the BEMER sleep system each night. And of course I keep smiling and I keep loving, because being in love is the road that leads to what we all aspire to do and that is, live long and prosper, naturally! 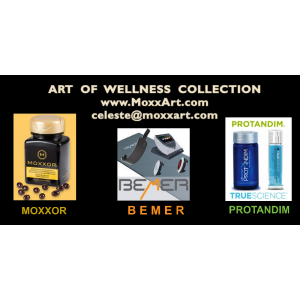 Feel free to contact Celeste@ArtofWellnessCollection.com for more information about BEMER, Protandim and MOXXOR! The BEMER has several options for purchase. The price of the BEMER Pro device which is the one I have is $5,990 but before you react as stongly to the price as I did. BEMER has a great finance program which my husband and I opted to do mainly so I could share how great the experience was with my clients. Our credit score ranked us A so we placed a 5% or $327 security deposit down. (A+ did no require a security deposit) Our monthly payments are $157 per month for 60 months which equals $5.23 per day. We can pay it off anytime without prepayment penalty. We opted to become Independent BEMER distributors, for a cost of $390 for the first year and $190 for the following years. We get a two day training course included in this fee. This is the smartest and best decision I have ever made. I wouldn’t be without it ever. BEMER has been created so that if the technology were to change the computer system can be updated. It is for the rest of our lives and for our whole family. It is like brushing our teeth something we do twice daily. We have a try before you buy program which I didn’t need to do as I knew I needed to continue anti-aging for the rest of my life and I also knew that the longer one has had a physical problem the longer it will take for the body to heal it. But it is a nice program: $990 + tax for 8 weeks of try before you buy and your payment applies to the purchase price. You only pay a $15o administration fee for the conversion. You use it twice daily and after 6- 8 weeks we phase into the sleep program. It was one month after the sleep program kicked in that my frozen shoulder heeled completely and for months I couldn’t move it more that a few inches. My discs are compressed in my neck. Month 4 on BEMER day and night and my shoulder was 100%. Right now for deals closed (not to rent but to purchase) before the end of the month you get a second full B-body mat free with purchase which is a $740 value. So do consider purchase if you can. It’s simple to see if you qualify or perhaps you have better deals with credit cards or credit unions. 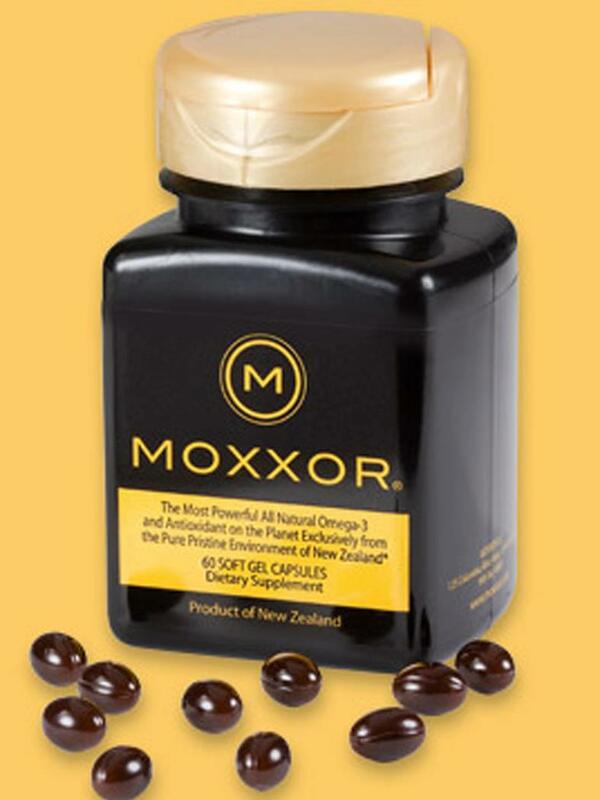 PS I always take my MOXXOR before doing the BEMER as the BEMER takes our good nutrition where it needs to go. If you live a sedentary life style BEMER is so very helpful as it increases metabolism and improves microcirculation by up to an astounding 30%.